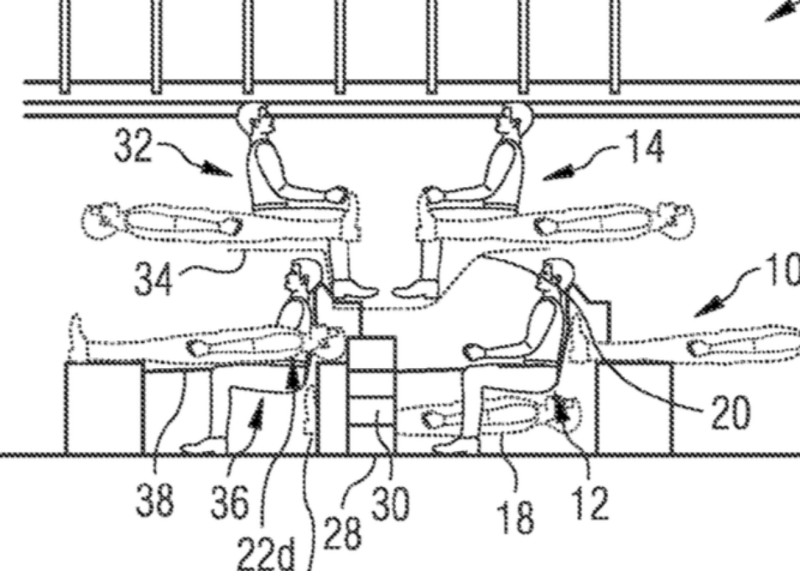 Airbus files patent to stack airline passengers on top of each other. Oh, the things we have to look forward to. Every so often, we get a new chapter in the ongoing saga of the incredible shrinking plane seat. Usually, it involves an airline trimming another fraction of an inch off the width of your seat cushion, or ever-so-slightly decreasing what’s left of your legroom. 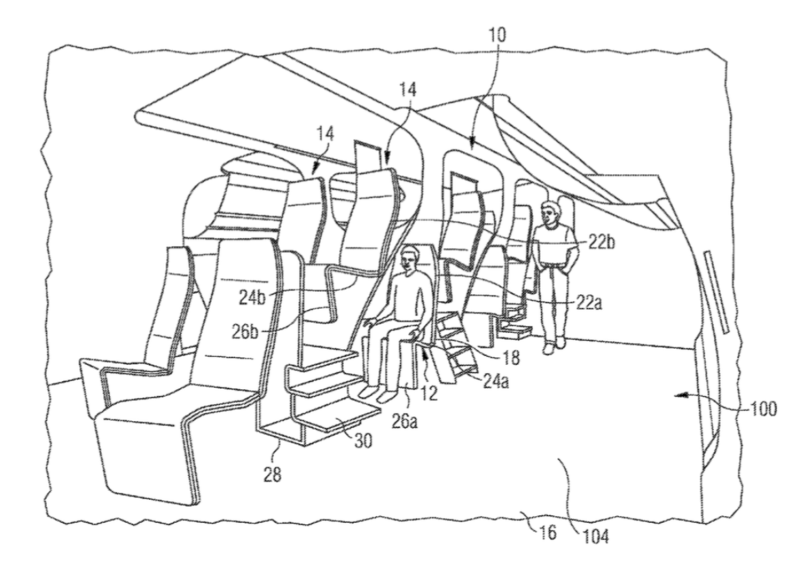 But a patent filed by aviation manufacturer Airbus this month boldly goes where no seat shrinker has gone before: the space above your head. As you can see in the image above, Airbus proposes accomplishing this still more efficient use of aircraft space by essentially stacking passengers on top of each other. Feeling claustrophobic? Fear not! Each seat includes a “supporting surface” that can move between an upright seating position and a fully reclined one. As Airbus helpfully notes, when these seats are dropped into their lying-down positions, the result is “a lowering of the supporting surface” and thus an increase in the distance between your seat and that of your vertical neighbor. See? It looks cramped when the people are sitting upright. But then they lie down, and their heads get further apart! Not convinced? OK, yeah, neither am I. If we’re being honest, the Airbus seating diagram evokes several unmentionable things which I will not state here but invite you to share in the comments. 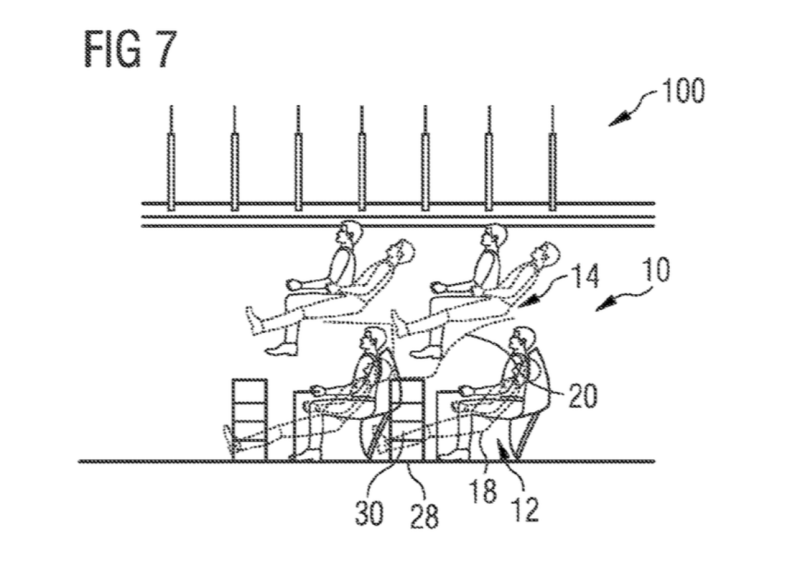 Lowering the seats into their fully reclined mode also doesn’t seem like much of a solution, unless you intend to spend every flight lying flat on your back. On a practical level, the design also raises safety concerns, cabin interiors expert Mary Kirby tells Reuters. “The obvious number one is the regulatory requirement for safe evacuation of passengers in 90 seconds,” she says. 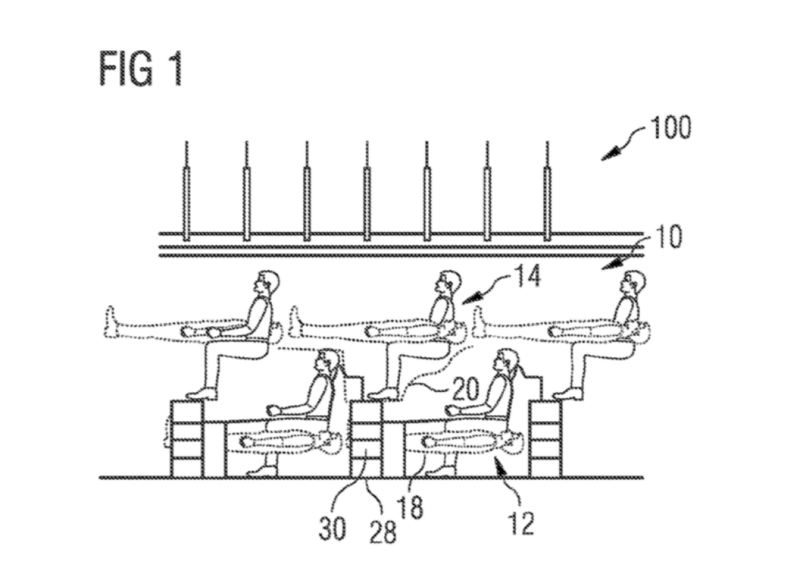 On the other hand: The layout in Airbus’s patent could bring our era of Knee Defender fights and “recline rage” to an end. When passengers are bunked into planes like kids at camp, they’ll surely find better things to be angry about.